Made with hundreds of sweet noodles, the vanilla buttermilk and vanilla butter cream mummy is part of a series of Threadless t-shirts turned cake. 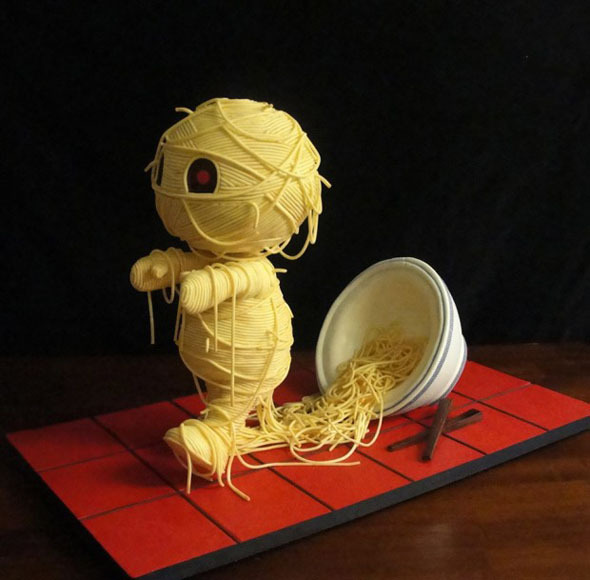 Inspired by this t-shirt by Threadless, the ‘Ramen’ses Return Cake was created by Jessica Allard. Made with hundreds of sweet noodles, the vanilla buttermilk and vanilla butter cream mummy is part of a series of Threadless t-shirts turned cake.